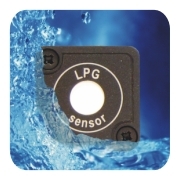 With more LPG alarms failing from water damaged sensors than any other reason, Nereus Alarms has developed a unique range of waterproof gas sensors for use with their alarm systems. Developed over a number of years, these sensors have excellent reliability and provide an unrivalled level of protection. For years boat users have had to put up with gas alarm systems which fail when the sensors (usually sited in the bilge or galley) are subjected to humid conditions, encounter a single slash of water or become immersed (even if only very briefly). With the new range of alarms from Nereus Alarms these situations are no longer a problem.